Although most of my holiday baking this year consisted of tried and true family favorites, I always like to bake one or two new recipes and see how my family likes them. 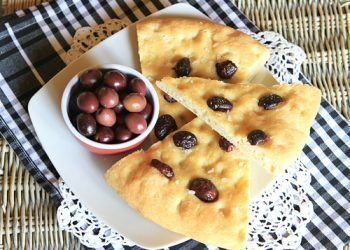 This year one recipe I made was certainly NOT very Italian but was really delicious and very easy to make. 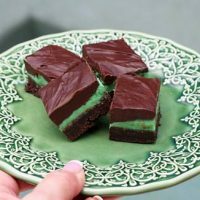 If you like the favor of After Eight mints, those creamy, minty dark chocolate wafers of deliciousness, then these squares will appeal to you. I found the squares to be quite rich so I cut them into very small bites which worked out perfectly. These squares would also be great served with coffee when entertaining guests after dinner. The only thing I would do differently when I make these again would be to use less green food coloring. I seem to have gotten carried away and my center layer was a tad too colorful for my preference although no one else complained as they moaned and groaned over every scrumtious bite. 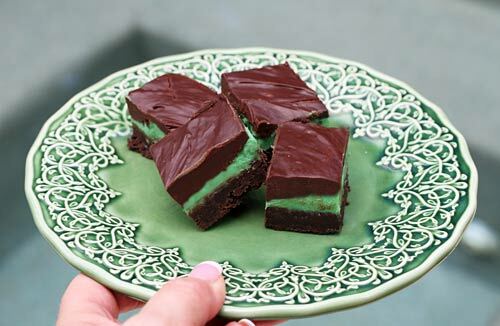 With the flavor of an after dinner chocolate mint, these little squares are addictive! Lightly grease a 13 by 9 inch baking pan, then line with parchment paper cut to fit with overhanging sides. Melt the butter and chocolate with the brown sugar in a heavy bottom saucepan, stirring often until smooth and creamy. Remove from the heat and cool 10 minutes, then whisk in the eggs and vanilla until blended. Whisk in the flour, cocoa and salt until mixed, then spread the batter evenly over the bottom of your prepared pan. 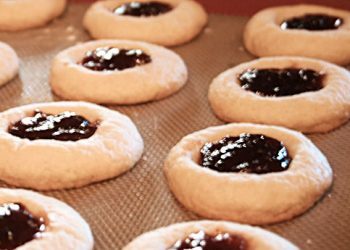 Bake about 25 minutes, or until a pick inserted in the center comes out cleanly, then cool completely. To make the center layer, bring the cream to a simmer and then remove from the heat and pour over the chopped white chocolate. Whisk until very smooth, then stir in the liqueur and extract. Add a drop or two of green food coloring until you achieve a light green color. Refrigerate, stirring mixture occasionally until very thick, about 1 to 1 1/2 hours. Once thick, spread the mint layer over the cookie bottom and refrigerate until set, about 1 hour. To make the top layer, bring the cream to a simmer and then pour over the bittersweet chocolate in a bowl, whisking mixture until smooth. Refrigerate until thick, about 30 to 45 minutes. Pour the chocolate layer over the mint layer, and then chill until set, a minimum of 3 hours, or overnight. Use the overhanging parchment to remove from the pan and cut into small squares. 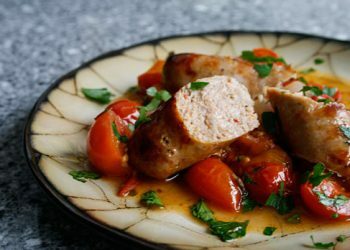 Serve immediately, or store squares in an airtight container between layers of parchment paper in the refrigerator for up to 3 weeks.